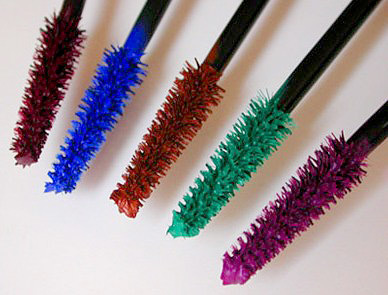 Electric blue, red and yes, even yellow and green mascaras were available for our lash-lengthening pleasures. 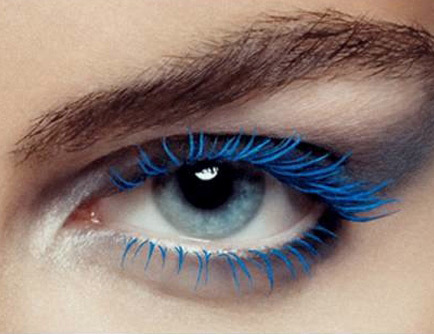 Blue was by far the most popular of the colored mascara colors. With my dark hair and olive complexion I thought blue mascara would really top off my look and make my eyes totally pop! 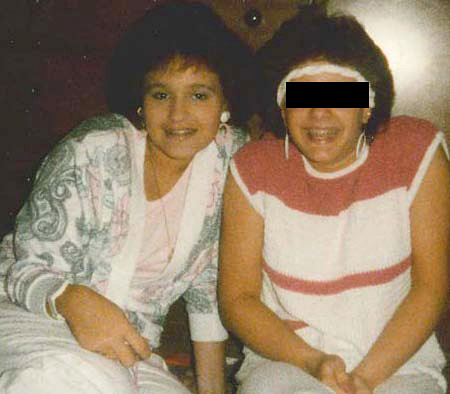 Instead it kind of made me look like I had two black…I mean screaming electric blue eyes. 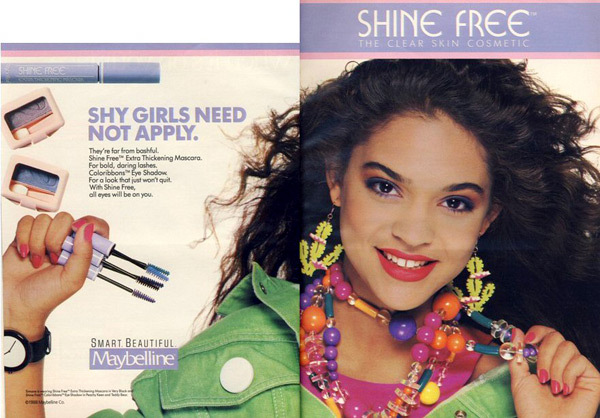 Most cosmetic companies hopped on the colored mascara bandwagon – I remember my Maybelline Shine Free (remember Shine Free?!?) blue mascara that came in the lavender tube. Obviously, there was nothing at all natural about this look – the brighter, the bolder the better…like the model on this ‘45 cover – she woke up and decided to “go-go” with blue. If you wanted to stand out and make a statement that you could wash off at the end of the day, colored mascara was the way to go. From experience I know that it also worked really well in your hair, creating funky temporary highlights. 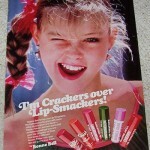 And like all good things of the 80s it’s made a comeback. 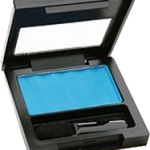 Sephora has a lovely bright shade of blue and high-end brands like Dior and Yves Saint Laurent also have fancy blue hues available for you. 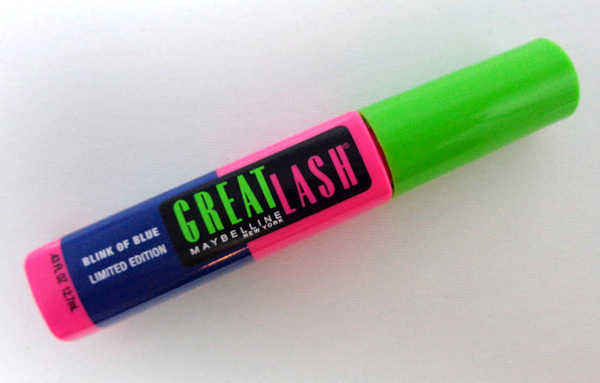 And did Maybelline ever stop making the blue mascara? I don’t think so….God bless you, Great Lash. 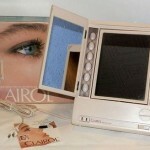 My peepers may have to pop on the blue mascara bandwagon once more – this time around, minus the big hair and braces. One Mascara not shown here or talked about was Pink it was a hot pink. My favorite. But I. 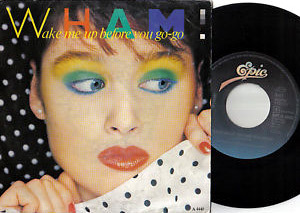 Always wore the blue or teal eyeliner. Recently started wearing purple eyeliner. 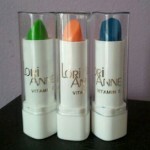 Still have blue and teal.still use pink blush.